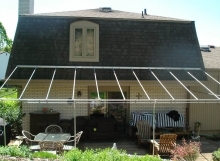 Take a look at why Awnings By Paul is your best option for awnings in the Pittsburgh area. 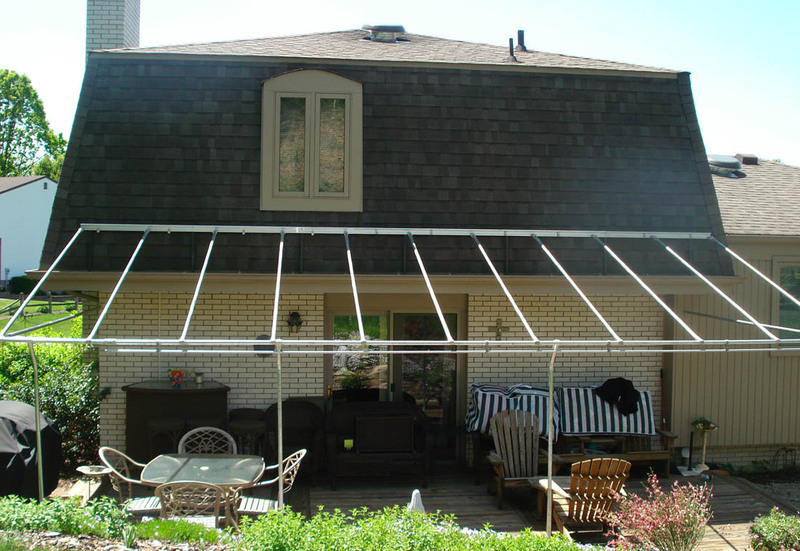 Extend your Living Space – Installing a patio awning is an inexpensive way to add an “outdoor room” and value to your home. Enjoy a cool lunch on the patio, have a party, let the kids play outdoors while knowing your family and friends are protected from the harmful rays of the sun. Energy Savings – The US Department of energy shows that awnings can reduce solar heat gain up to 65% on south facing windows and 77% on west facing windows. Making changes to our homes such as adding awnings is one of the many things we can do to protect our environment. With the Skin Cancer Foundations seal of approval for Sunbrella® Fabric Awnings, you can save money on cooling cost while knowing your family is safe from the harmful UV rays from the sun. UV Protection – Ninety percent of skin cancers are caused by the sun. The Skin Cancer foundation conducts educational programs and regularly reviews products that can help consumers reduce their health risk from sun exposure. The Skin Cancer Foundation’s standard for Ultraviolet Protection Factor (UPF) is a measure of the amount of ultraviolet light passing through the fabric. After passing rigorous testing, Sunbrella fabrics earned the “Seal of Recommendation” by the Skin Cancer Foundation. Sunbrella fabrics have been proven to provide up to 98 percent protection from the sun’s harmful effects when used in shade applications. Comfort – Comfort from the sun’s harmful rays indoors with window awnings, and outdoor comfort and protection with patio awnings are many of the things you can enjoy with beautiful Sunbrella® Fabrics. Relax; with just a press of a button, and a Somfy® Motor installed on your patio retractable awning, you can have shade in less than 90 seconds without moving a muscle. Enjoy your new “Outdoor Room” with family and friends. Style – With over 100 colors to choose from, stylish awnings can add charm and breath-taking colors to your home. With a few hours on the weekend, you can transform your home with color and style. It’s beautiful in the shade. Click on the photos below to see more of each project.